This book is one of the most complete reviews of the major holy places and temples of India, and the traditions connected with them. It describes where they are located and what you will see. This 2020 Update includes more and newer information and additional sites to see. This travel guide is not only a great reference work, but is written especially for anyone who wants to know of the many holy sites that you can visit while traveling within India, how to reach them, and what is the history and significance of these most spiritual of sacred sites, temples and festivals. It also provides a deeper understanding of the mysteries and spiritual traditions of India. It is for both those who are new to India and those who are experienced. India has one of the most ancient cultures on the planet that is still a living and dynamic tradition today. Many of the customs and rituals that we can see have existed for thousands of years. This is what makes this country so interesting and draws so many people to it. It is the culture of yoga, meditation, gurus, spiritual philosophy, ancient festivals, holy men and women, sacred mountains and rivers, traditional music, and offers the potential for becoming more aware of who we are and the purpose of life. This is what continues to attract people from all walks of life, and who may try to look beyond the veil of its mysteries. This book will certainly help you find your way around India’s mysterious traditions, and the historical and spiritual significance of the major holy places, temples and festivals that this country has. * This book divides the country into East, Central, South, North, West, the Far Northeast, and Nepal, and describes the best itineraries to take to see the most of each area. 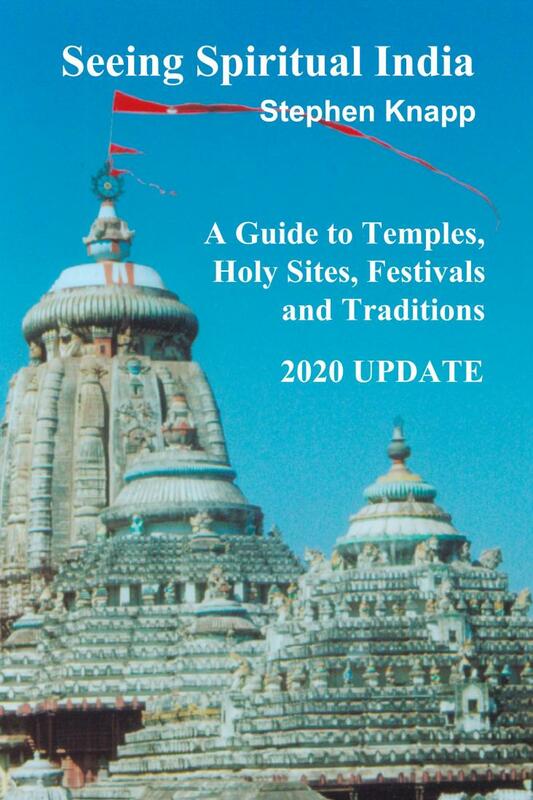 * It provides descriptions of the temples and the architecture, and what you will see at each place. * This book provides the significance and traditions connected with each site, the historical legends, and the spiritual benefits a person acquires by visiting each location. * It helps you decide which places are the most interesting for you, where you want to go, and problems to avoid. * It describes the holy places of Hindus, Buddhists, Sikhs, Jains, Parsis, and Muslims. * Packing lists suggestions and how to prepare for your trip. * How to return from India with the greatest of spiritual wealth. * How to get the best experience you can from your visit to India. * Where you can go to most effectively perceive your own spiritual identity. * How the spiritual side of India can open you to your own divine nature. The author, Stephen Knapp, has visited practically 85% of all the places that he describes after making well over 20 trips to India, traveling across almost every state of the country, some several times. So, most of this information comes from personal experience, which you can apply for yourself. "Thanks to the many travels throughout India, as well as his knowledge of the culture and history, the author provides an astonishing amount of details about the subject matter of the book. Readers will delight at finding such a credible tour guide! The majority of information comes from firsthand knowledge. Adding to his credibility, the author cites sources such as Sri Upadesamrita, and better yet, even cites primary source material such as a letter written by Prince Aurangzeb in 1652 to his ruling father, Emperor Shah Jahan. "With so much information being presented, it would be easy for the text to become dry and hard to read. But because of personal touches and comments from the author throughout, the reader will be able to more easily visualize the journey and relate to the author. "Seeing Spiritual India is impressive both for the large amount of information it presents, and for the ease in which it is presented. 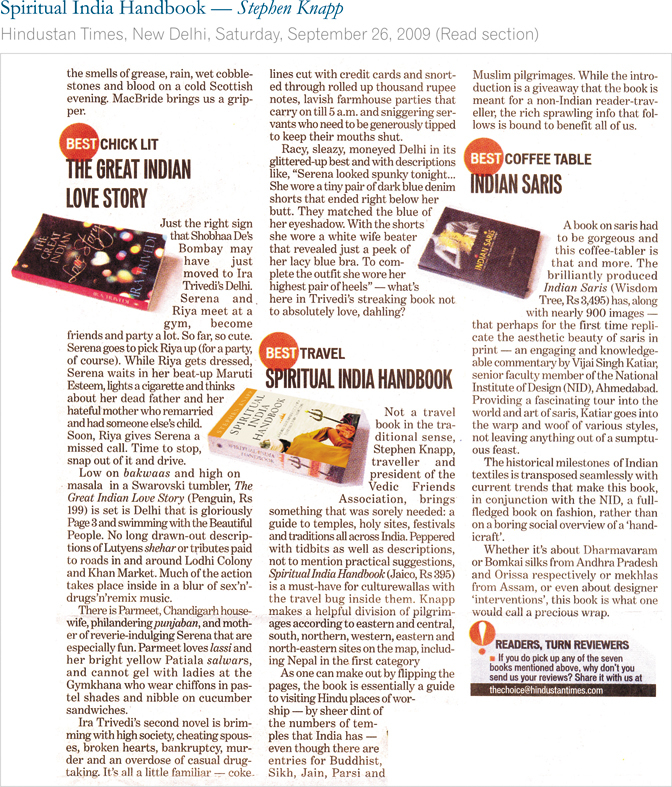 Should a reader want to plan a trip to India to see spiritual sites, this book is truly all he or she would need!" Editorial Review from iUniverse.com. PAPERBACK: $25.95, Size: 6" x 9", Pages: 695, ISBN-13: 9781795862608. Available through other Indian outlets as well.